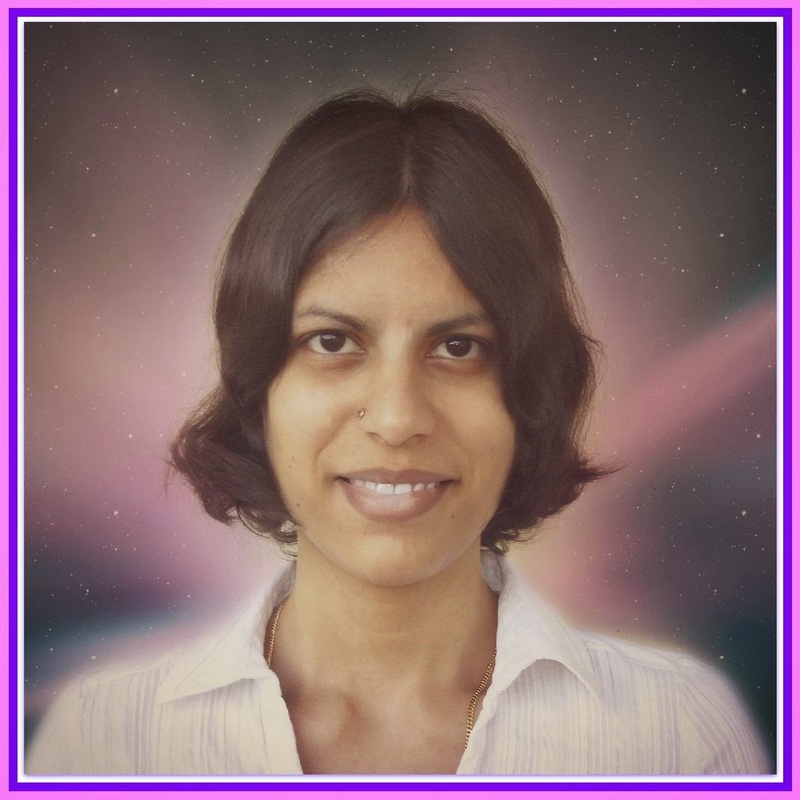 I don’t use a pen name, I write as Devika Fernando. Although I was born in Sri Lanka, I grew up in Germany. 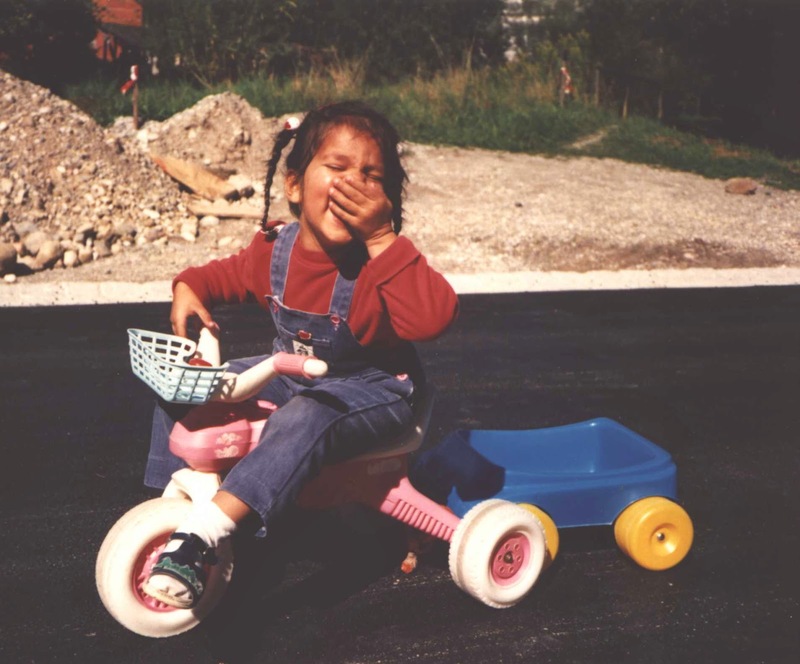 Some of my best memories are from my early childhood in a small village in the mountains of Bavaria. There were more cows than people in the village, and enjoying nature was an important part of my life. I also have very fond memories of traveling to Sri Lanka for holidays regularly. Being greeted by all the new smells and sounds and sights, being pampered by the relatives on my mother’s side, and going to the beach were unforgettable highlights. Most people thought I would become a doctor, but I had always wanted to study either languages or social sciences. I was interested in an Asian Studies or International Studies Bachelor degree from an Australian university, but life turned out differently – and I’m glad about it. German is my mother tongue, and I am fluent in English. Apart from that, I more or less know Spanish, Italian, French, Latin, Sinhalese and Hindi. I can’t stand injustice and violence toward animals. Adjusting to life in Sri Lanka after 19 years in Germany was a big challenge. I had a lot of help from my husband, and some of it came naturally. I didn’t know the language either, so I watched a lot of television to learn more about the country and the language. I’d love to be one of the famous bestselling authors, just to know what it feels like to have many published books, a huge group of devoted fans, valuable experience, and such a wondrously creative mind. Romance, because I believe in true love, and because I enjoy reading about people learning to trust somebody with their life, and fighting for what they believe in. I have self-published two books so far, and the third one will come out at the end of this year. WHEN I SEE YOUR FACE is my debut (contemporary romance): Cathy has had enough. Having run away from her abusive husband, she tries to pick up the broken pieces of her life in a remote village, focusing on her dream to start her own cake business. Finding true love is the last thing on her mind. When she comes face to face with a man who looks exactly like the one she is struggling to forget, life throws the biggest challenge yet at her: Should she give in to his charm and care or is history going to repeat itself? 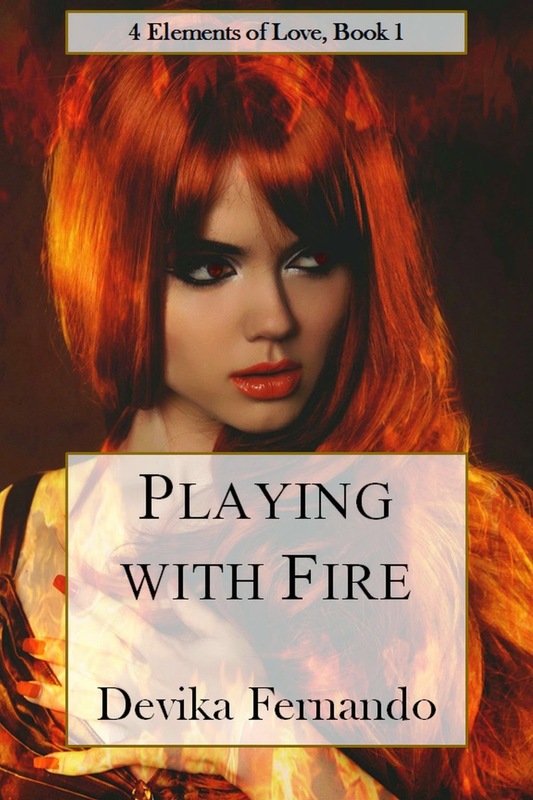 PLAYING WITH FIRE (paranormal romance): Sparks fly when Felicia and Joshua meet. Discovering her inner fire and unleashing unimaginable powers makes her realize that all her life, she has been hiding her true self. When buildings burn and people are in danger, the tempting game of playing with fire becomes serious. Will their love and desperate struggle for control save her life, or will the fire magic turn itself against its mistress? Definitely. You need to be able to envision the scenes in your head, to create worlds and problems, to listen to what your characters tell you. There are so many places I’d love to visit one day. If I really have to decide, I’ll opt for Australia and New Zealand. Your origin of birth and other countries you have visited / stayed. I am a German citizen, but I was born in Sri Lanka. My father is German, my mother Sri Lankan, and my husband also Sri Lankan. I have lived in both countries. As for trips, I have been to Austria and Switzerland. What best things you liked in these countries around the globe? What a difficult question… I think I like most about Germany how proper and logical and structured everything is. And anything you wish for is available. As for Sri Lanka, I like its natural beauty and its Buddhist background the most. I love blue and purple in all shades. I’m not sure there’s a real reason for it. I associate purple with magic and mysterious things, so that might be why I’m drawn to it. I finished reading “The Summer They Never Forget” by Kandy Shepherd, which I enjoyed immensely. Some days ago, I started on the Spanish original of “One Hundred Years of Solitude” by Gabriel Garcia Marquez. It’s impossible to choose just one. I really love “The God of Small Things” by Arundhati Roy, “The Tale of the Body Thief” by Anne Rice, and “Pride and Prejudice” by Jane Austen. A huge country full of fascinating cultures, intriguing history, and conflicts. So many people think it’s just one country where everything is much the same, but I know how diverse Indian life really is. 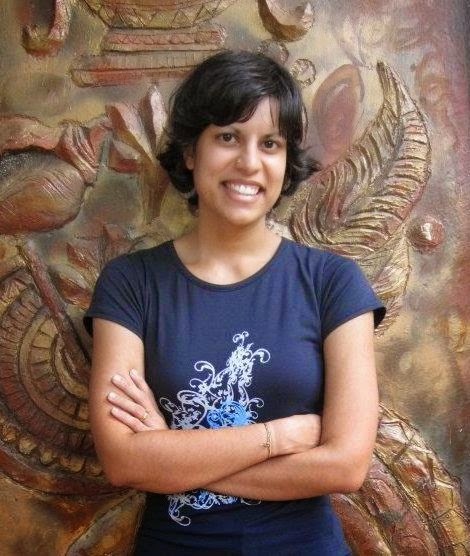 I have some wonderful friends in India, and I’ve read some great novels by Indian authors. Even in her next life, she’ll still be reading and writing.